Coral reefs are called “rainforests of the sea” and they form some of the most diverse ecosystems on Earth. Corals are tiny animals that belong to the same group as anemones and jellyfish. These tiny animals, called polyps, typically live in colonies and most of them have hard calcium carbonate skeleton. When the hard skeletons of the living and dead polyps in a colony cement together they form a coral reef. 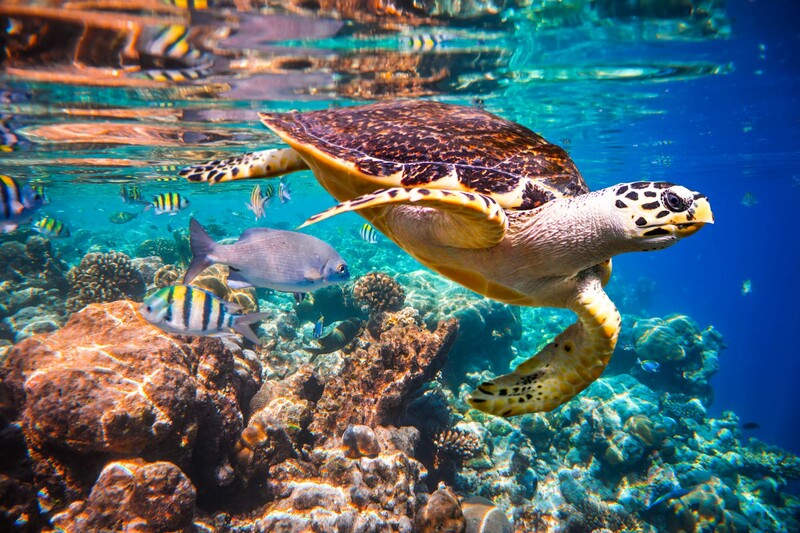 Coral Reefs mostly grow in shallow, tropical waters, but can also be found in deep and cold waters. Although they cover less than 1% of the ocean floor, they are a home to at least 25% of all marine species. Besides forming nurseries for an enormous variety of species, they also provide income for tourism and fisheries. 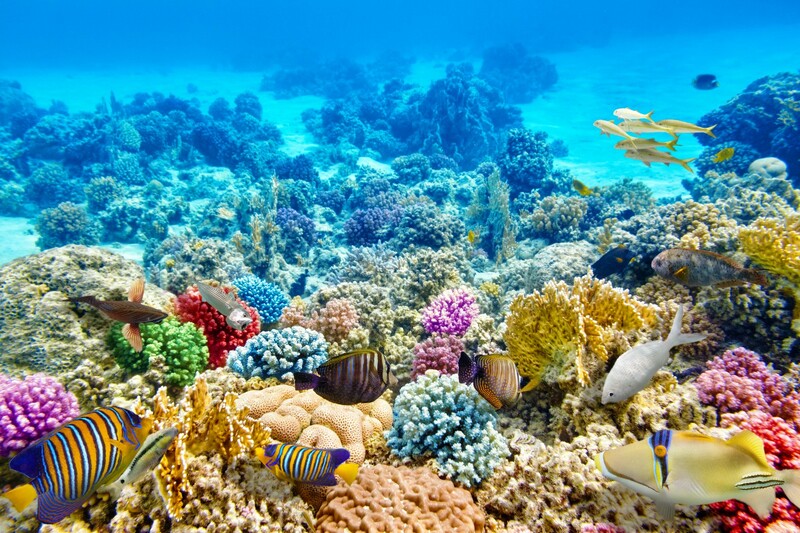 Coral reefs are an important natural barrier against waves, hurricanes, typhoons and tsunamis. They are also becoming important in medicine, in treatments for diseases like cancer and HIV. Coral reefs are threatened by climate change, pollution, overfishing and sedimentation. Climate change is causing coral bleaching due to extreme temperatures and ocean acidification, which means more carbon dioxide from the atmosphere is absorbed into the ocean, making the ocean more acidic. Coral reef ecosystems are threatened all around the world. Many marine conservation programs have been developed to help conserve coral reefs. 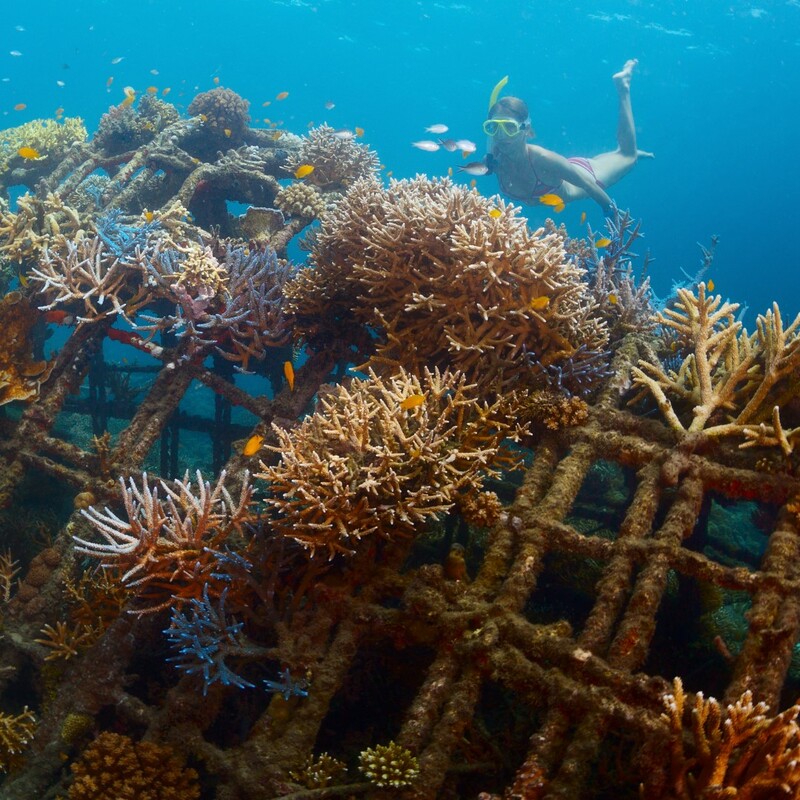 There are coral nurseries which help corals to grow safely in labs. One of the most effective ways to protect and restore coral reef ecosystems are Marine Protected Areas (MPA). They restrict human and damaging activity. Everybody can help to protect coral reefs: keep the beaches clean, fish smart, if you dive, don’t touch or take corals, anchor in sandy areas away from corals, conserve water and drive less. I am the editor of the SailingEurope blog. I am a translator and in love with languages and cultures. My other passion is travel. I have traveled a lot in my life, but there is much more still waiting for me to discover. I am open minded and I love challenges.